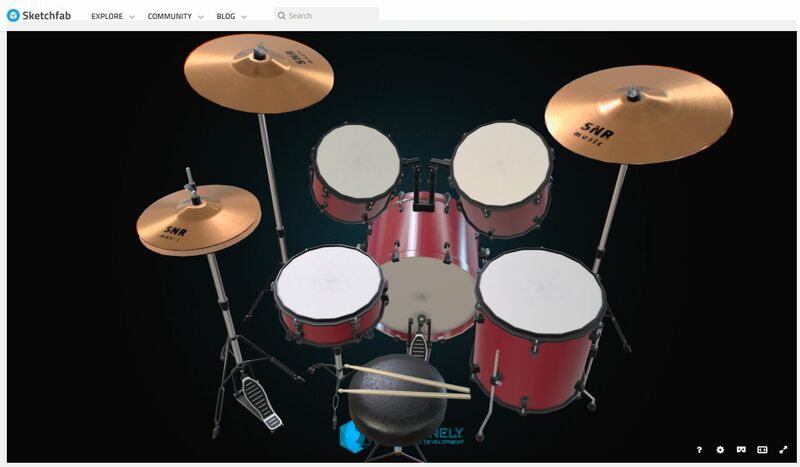 Hello, i will post my evolution with Unity 3D to create a 3D Drums for Aerodrums. 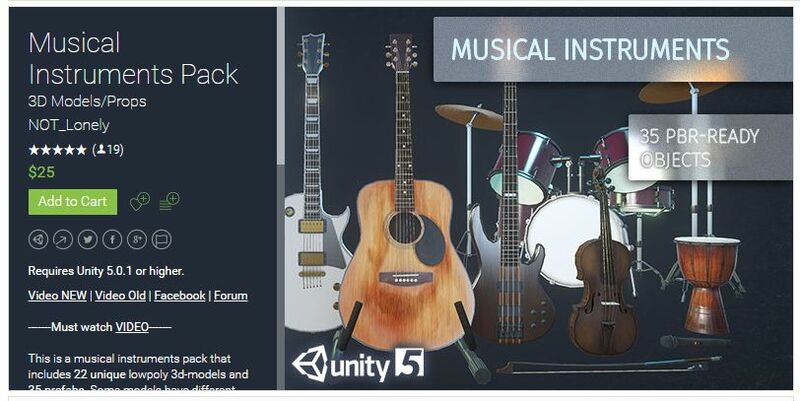 Im not a advanced Unity 3D developer, so if you want to help i appreciate ! 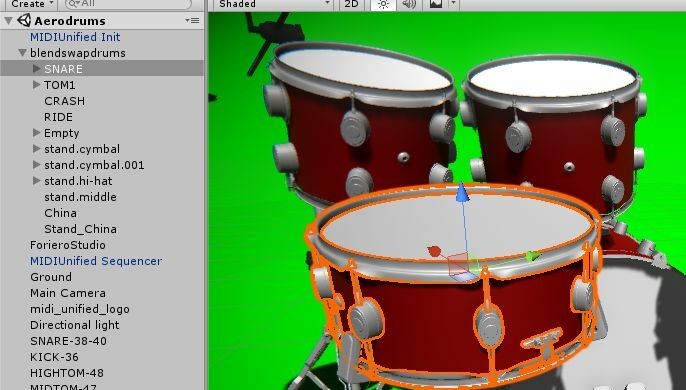 2 - Create a Green Screen 3D enviroment to use with OpenBroadcaster to MIX a realtime video feed with the 3D virtual Drums. Last edited by rebit on Tue Jun 06, 2017 8:45 am, edited 2 times in total. 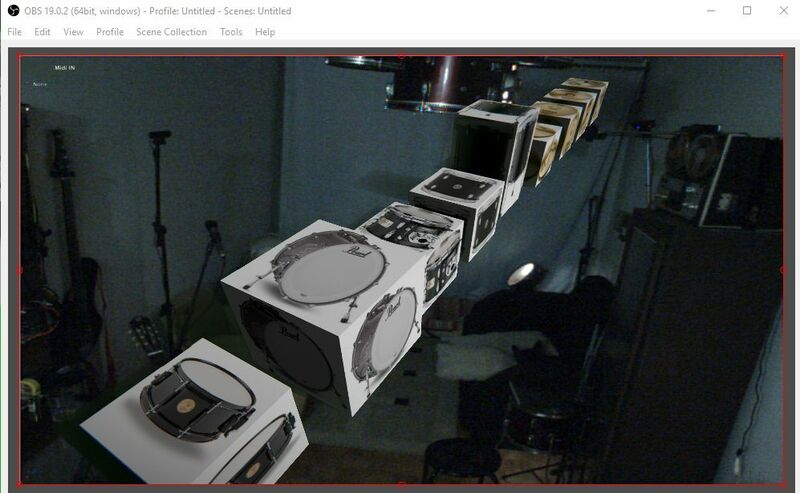 Here you can download the first build to test with Aerodrums running MIDI Out. 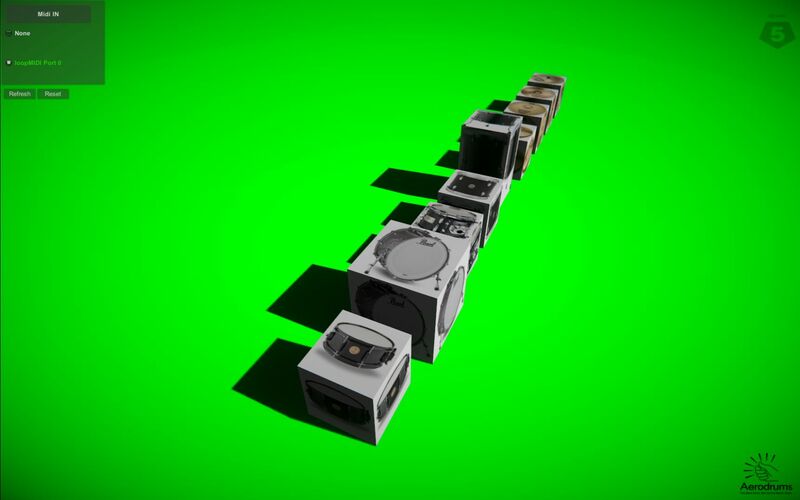 The Cubes will react with the MIDI NOTES. Last edited by rebit on Tue Jun 06, 2017 9:03 am, edited 1 time in total. 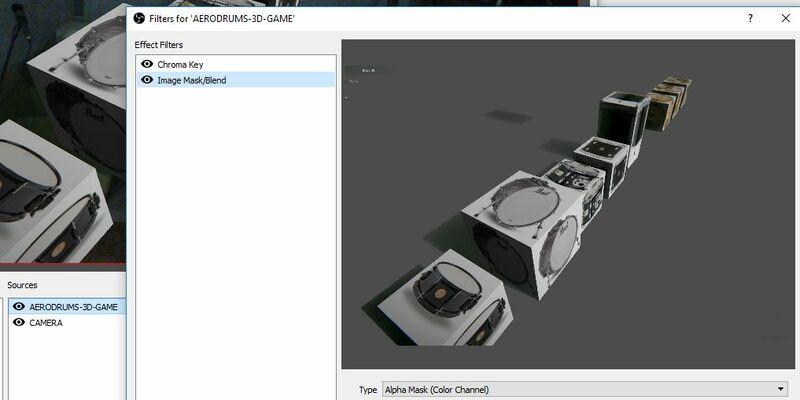 To use the software with OpenBroadcaster (OBS) you will need to learn how its works. 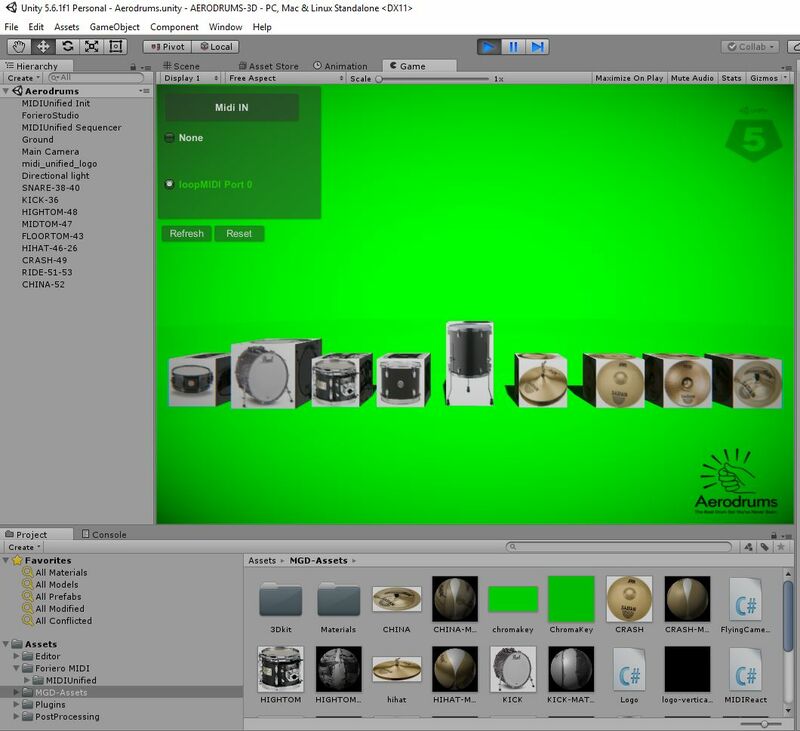 You should create a Scene with the Unity 3D application and apply the Chromakey Filter, after you can add your camera and manage the order of screen ( top or down). 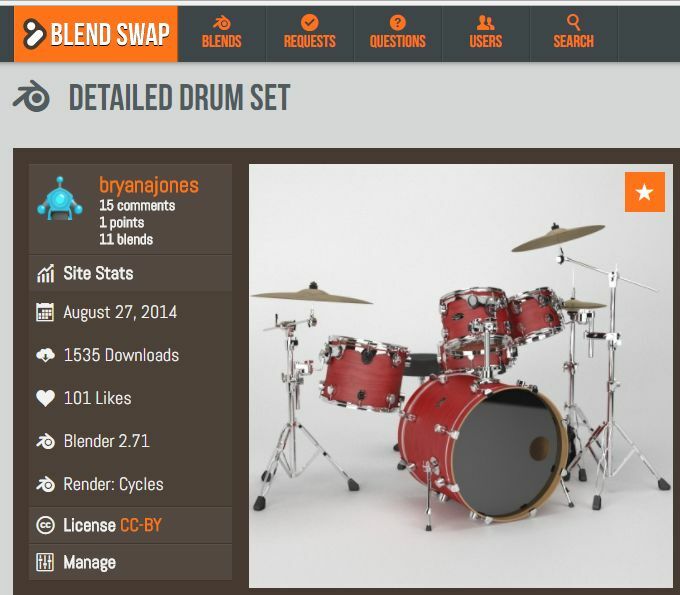 I found a free alternative from the great site called BlendSwap, author is 'bryanajones', the license of this model is Creative Commons, and this is awesome too. 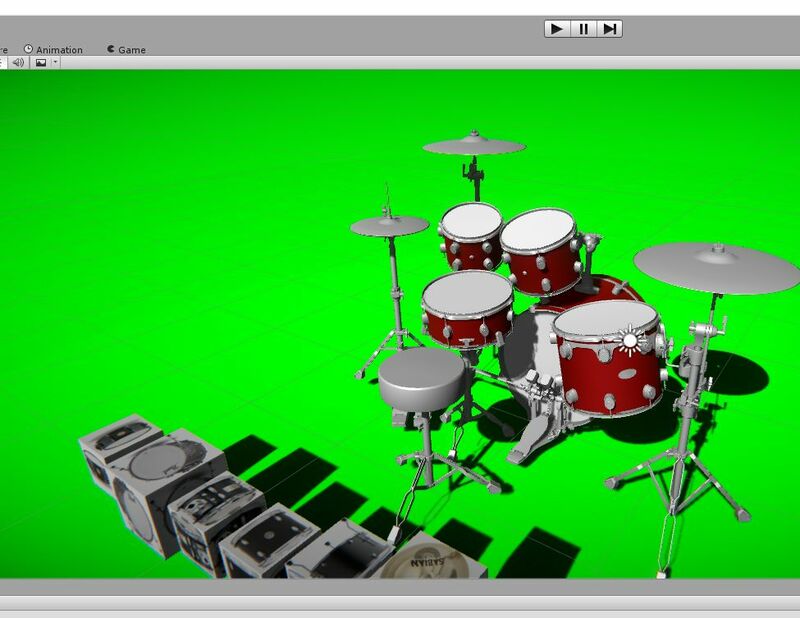 Next Step: Now i need to install blender and convert the 3D object to .FBX Format. Last edited by rebit on Tue Jun 06, 2017 9:04 am, edited 3 times in total. 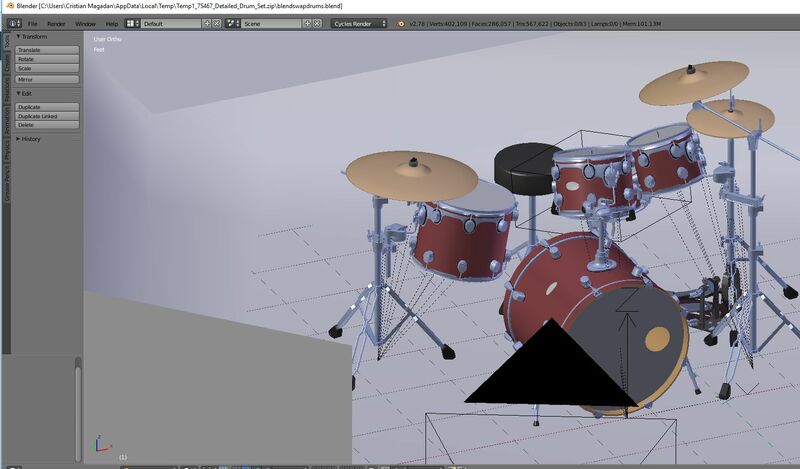 Yeah, the 3D Drumkit looks great on Blender, time to convert to .fbx ! Now the model was sucessfully converted to be read by Unity 3D, now i need set PBR materials like metal, gloss etc..
Last edited by rebit on Tue Jun 06, 2017 9:04 am, edited 1 time in total.